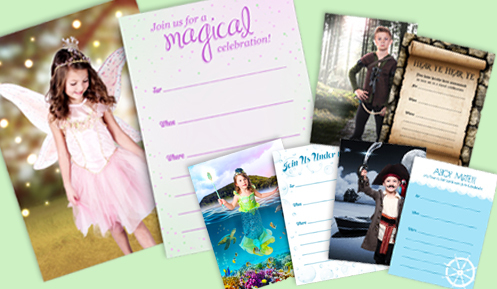 Celebrate your next party with our fun Storybook themed Invites & Thank You cards. Choose from 4 matching designer prints! Cards come in 5×7 with a your portrait on the front and party details on the back.